Basal, A. (2015). Perceptions of Pre-service English Teachers towards the Integration of an LMS into English Language Teacher Education. 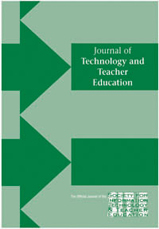 Journal of Technology and Teacher Education, 23 (4), 485-507. Waynesville, NC USA: Society for Information Technology & Teacher Education. Retrieved April 20, 2019 from https://www.learntechlib.org/primary/p/149917/. Creswell, J. (2009). Research design: Qualitative, quantitative, and mixed methods approaches (3rd ed.). London, UK: sage. Dudeney, G., & Hockly, N. (2007). How to teach English with technology. Harlow, UK: Pearson. Egbert, J., Paulus, T.M., & Nakamichi, Y. (2002). The impact of CAll instruction on classroom computer use: A foundation for rethinking technology in teacher education. Language Learning& Technology, 6(3), 108–26. Fischer, R. (2012). Diversity in learner usage patterns. In G. Stockwell (ed. ), Computer-assisted language learning: Diversity in research and practice (pp. 14–32). Cambridge, UK: Cambridge University Press. Gülbahar, Y. (2008). ICt usage in higher education: A case study on preservice teachers and instructions. Turkish Online Journal of Educational Technology, 7(1), 32–36. Kessler, G. (2006). Assessing CAll teacher training: What are we doing and what could we do better? In P. Hubbard, & M. Levy (eds. ), Teacher education in CALL (pp. 35–42). Amsterdam, the Netherlands: John Benjamins. Krippendorf, K. (1980). Content analysis: An introduction to its methodologies. London, UK: sage. Lim, C.P., & Chan, B.C. (2007). Micro lessons in teacher education: examining pre-service teachers’ pedagogical beliefs. Computers and Education, 48(3), 474–494. Doi:10.1016/J.compedu.2005.03.005lonn, S., & Teasley, S.D. (2009). Saving time or innovating practice: Investigating perceptions and uses of learning management systems. Computers& Education, 53(3), 686–694. Doi:10.1016/J.compedu.2009.04.008mayo,N.B.,Kajs,L.T., & Tanguma, J. (2005). Longitudinal study of technology training to prepare future teachers. Educational Research Quarterly, 29(1), 3–15. Neumeier, P. (2005). A closer look at blended learning: Parameters for designing a blended learning environment for language teaching and learning. ReCALL 17(2), 163–178. Doi:10.1017/s0958344005000224Osguthorpe,R.T., & Graham, C.R. (2003). Blended learning environments, definitions and directions. The Quarterly Review of Distance Education, 4(3), 227–233. Weber, R.P. (1990). Basic content analysis (2nd ed.). Newbury Park, CA: sage. Willis, E.M. & Raines, P. (2001). Technology in secondary teacher education: Integration, implications and ethics for the changing roles of teachers. T.H.E. Journal, 29(2), 54–64. Wang, Q. (2007). The national curriculum changes and their effects on english language teaching in the People’s Republic of China. In International handbook of English language teaching (pp. 87-105). Springer Us.